Plaid Jacket Chronicles: a Peek into my Plaid Stash! 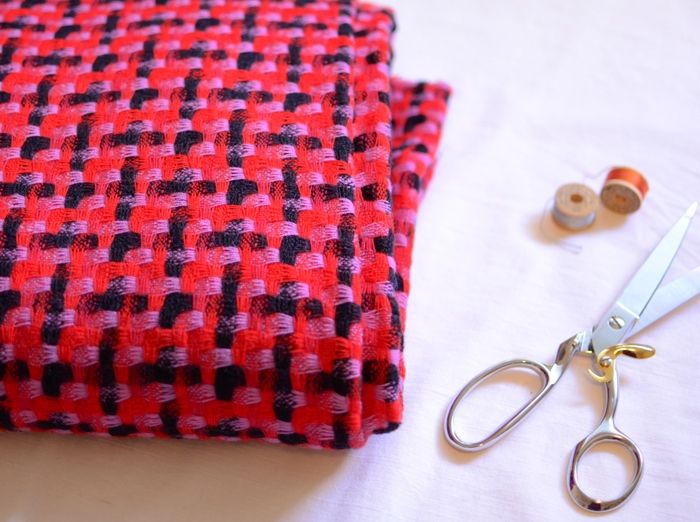 Today, for fun, I thought I would share some of my plaid fabrics with you. There are so many plaids out there (much more than I'm showing here, just so ya know) and rather than go into a discourse on what plaid is this and what plaid is that, I thought why not just share the plaids I have and love. I have several that you may not even know exist and some that are kind of simple and basic. All are special to me in their own right and many are ear-marked for specific projects. So, here goes! Some of you have talked about Tartans and I have a few. The saying goes, all tartans are plaids but not all plaids are tartans so calling all plaids "tartans" is technically not correct. Tartans have Scottish origins and they are pretty much awesome plaids. 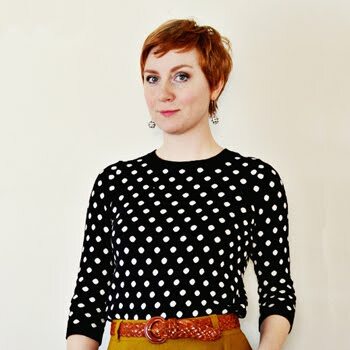 My recent plaid jacket make was a tartan. These plaids are rich with history and they are fun to read about and interesting to work with. 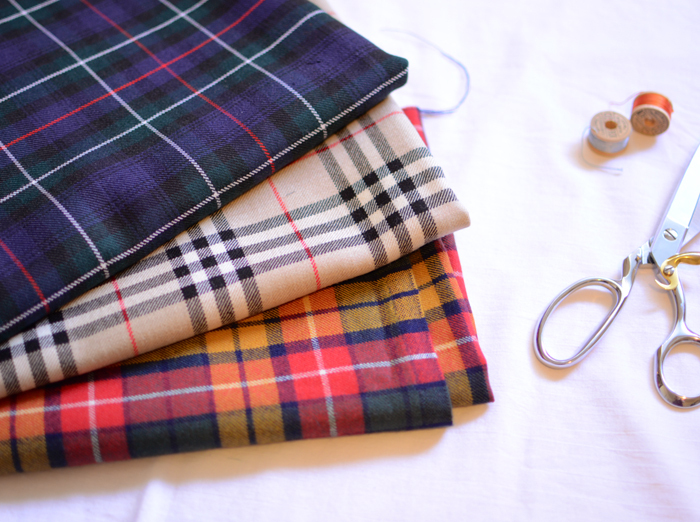 Additionally, the methods for using tartans are pretty awesome in their own right especially as concerns kiltmaking. Scotland is actually a great starting point for plaid fabric searches too. If you are unaware of Harris Tweed, you should become acquainted. 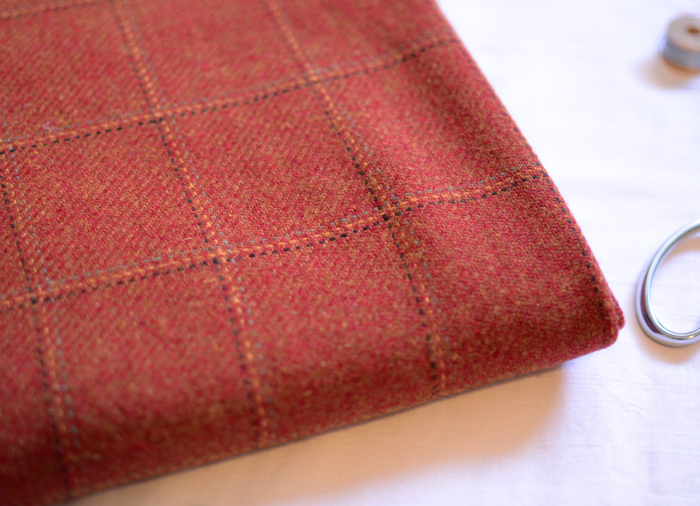 I've not purchased a full length of Harris Tweed yet, but the fabrics and saturated colors speak for themselves. Just another resource to tantalize you! 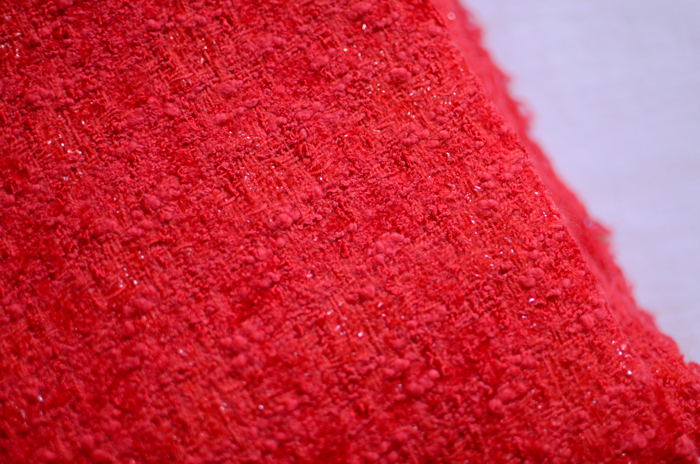 Ever encountered a texturized plaid before? I don't see these fabrics very often, if ever, but I have two pieces - one is a kelly green (isn't it to die for?) and the other is a perfect fall plum color. Both have a raised texture in the form of a plaid as the plaid. Interesting eh? 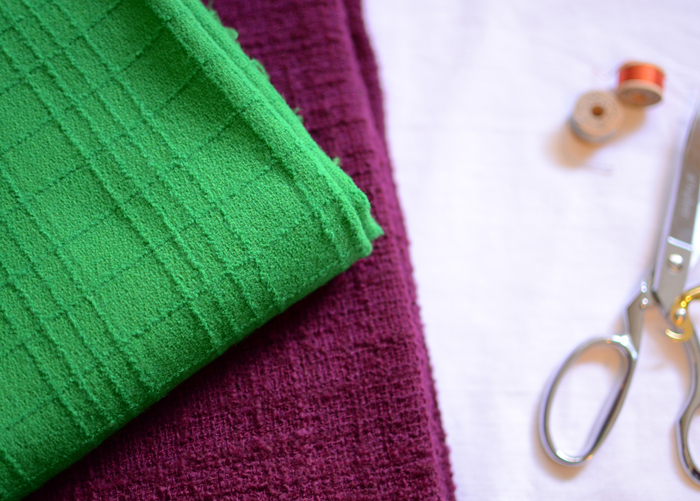 These are both earmarked for jackets, though I'm considering making a skirt out of the plum piece. Both are wool and both are pretty much insanely fabulous. Am I right or am I right? Windowpane plaid. 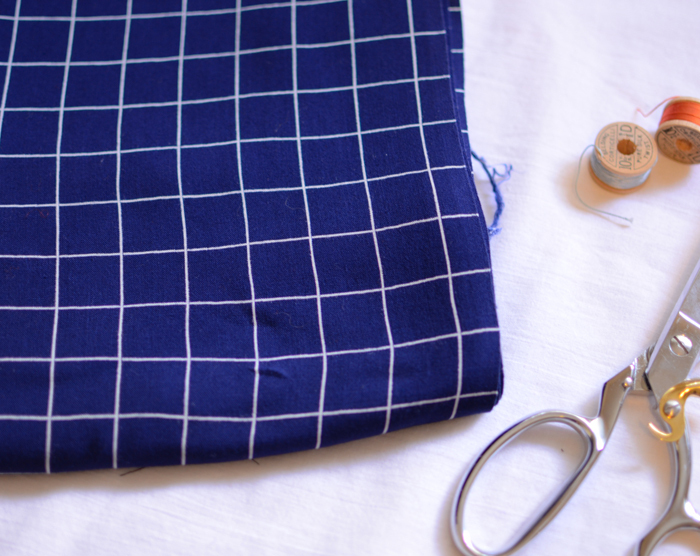 This is one of only a few balanced plaid fabrics I have (scroll down for the video on how to determine if your plaid is balanced or unbalanced and what that means) and its a rayon challis. Its a vintage piece that I picked up at a thrift store and I'm thinking about pimping it as a button up shirt at some point. This next piece is pretty amazing. Its a Linton Tweed. Yup. I have one. Linton Tweed is based out of the UK (those British Isles definitely know what's what about plaids) and this is apparently a fish tail plaid. It's pretty superb, I have to admit and I'm not sure exactly what I have planned for it, but it will be simply wonderful. Linton Tweed was used quite a bit by Chanel for her famous Chanel jackets and their site boasts some pretty lovely boucles, tweeds, plaids and woolens, in general. Finally, here is the plaid that I'll be using for my next plaid jacket. Of all of the plaids I've mentioned here, this is probably the one with the least amount of history. It was, of all things, a Joann fabric find and is surprisingly, 100% wool. I found it in the sale bin years and years ago. Probably one of my very first plaid fabrics. I've always wanted to make a jacket out of it and this year, I finally decided that its just got to happen. Its the perfect burnt orange color for my complexion and will make a striking fall number. It too, is a windowpane plaid and has a subtle chocolate, yellow and green stripe running through it on a tweed background. I'll think you'll find what I have planned for it interesting as I don't have very much of this fabric. Last, but not least is a video for you about balanced and unbalanced plaids and what that all means. I noticed in my last post with a video that when my post was emailed to me, it did not include the video, so I'll be including all the link info for videos from now on. To view this video on Vimeo, click here. Otherwise, you can watch it below. Plaid Jacket Chronicles: Balanced vs. Unbalanced Plaids from Sunni on Vimeo. Click here for more on Plaids! Very interesting.I'm waiting for the next to come. Thanks so much for posting! I learned this one the hard way when sewing my first plaid garment earlier this year. Your video helped me get even more clarity! I absolutely love the texturized plaid fabric you have. I would have never thought of it as plaid. Now I know better! Thank you. I love this post. so informational. You did an amazing job matching the plaid in the jacket. You are a very gifted seamstress. Thanks for this explanation, I learned something that would be so useful the next time I buy plaid fabric. Your plaid jacket is gorgeous! All fabulously tasteful, but that Kelly green has made me a little green! You have quite the variety! I would love to find me some wool fabric because I am all about natural fibers. I also like plaids in shirts whether shirting or flannel - which will probably be my first plaid garment make. Not that shirts are easy. Fantastic tutorial. I have zero plans to work with plaids in the near future but I just learned something very valuable. Love your blog.